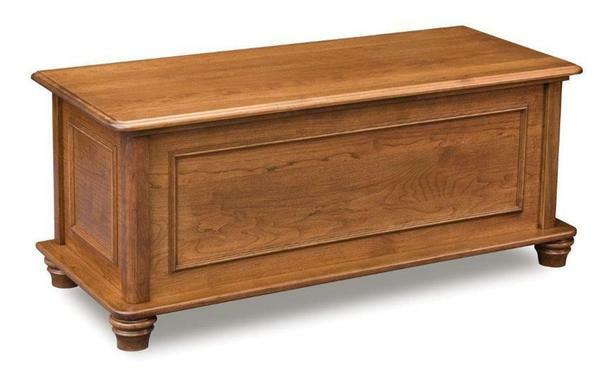 Great for placing at the foot of your bed, this solid wood hope chest will make an excellent addition your bedroom. You can use the Amish Woodberry hope chest to store extra blankets and quilts or keepsakes. It is shown in brown maple wood but you can choose from a variety of hardwoods and stains to customize this Amish chest. This Amish hope chest looks beautiful next to our Amish Woodberry bed.